Robert Barnes was born in Bishop's Lynn in about 1495. According to John Bale, Barnes entered the house of the Austin friars in Cambridge while still a boy. He travelled to the University of Louvain where he studied under Desiderius Erasmus and developed humanist sympathies. Barnes disguised himself as a pauper and fled to London. He then sailed to Antwerp before travelling on to Wittenberg where he became a good friend of Martin Luther. In 1530 Robert Barnes published (under the Latin name Antonius Anglus) a book in from a vigorously protestant perspective. Thomas Cromwell made contact with Barnes in the summer of 1531 and asked him to discover Luther's opinion on the divorce proceedings between Henry VIII and Catherine of Aragon. Luther's response was unfavourable to the king, but Barnes's seemed to be willing to compromise his views in order to return to England. He produced Supplication unto King Henry VIII and sent a copy to Cromwell who then showed it to Henry. 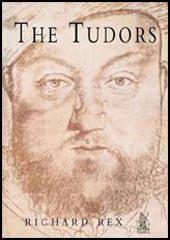 Henry VIII was angry with Thomas Cromwell for arranging the marriage with Anne of Cleves. The conservatives, led by Stephen Gardiner, Bishop of Winchester, saw this as an opportunity to remove him from power. Gardiner considered Cromwell a heretic for introducing the Bible in the native tongue. He also opposed the way Cromwell had attacked the monasteries and the religious shrines. Gardiner pointed out to the King that it was Cromwell who had allowed radical preachers such as Robert Barnes to return to England. Robert Barnes, William Jerome and Thomas Garrard being burnt at the stake. By John Simkin (john@spartacus-educational.com) © September 1997 (updated July 2015). The following months saw the return to the council of the three leading conservative bishops, Gardiner, Tunstall, and John Clerk of Bath and Wells; then, with the arrest of Cromwell on 10 June, the fate of Barnes and company was effectively sealed. On 22 July the three men were attainted as heretics, a procedure which denied them the chance to defend themselves in court, and sentenced to burn at Smithfield; their heresies were not specified. Finally, on 30 July 1540, Barnes, Garrard, and Jerome were taken to Smithfield, where they were burnt at the same time that three Catholics, Thomas Abell, Edward Powell, and Richard Fetherstone, were hanged, drawn, and quartered for treason. Two days later, three of Cromwell's more obvious clients, who had been in prison since Barnes retracted his recantation on 30 March - Robert Barnes himself, William Jerome and Thomas Garrett - were burned at Smithfield. Barnes was certainly a Lutheran, but that had not prevented Cromwell from using him as a diplomatic agent no further back that the beginning of 1540. None of these men was guilty of the radical heresies with which they were charged, but it was deemed necessary as part of the campaign against Cromwell to represent him as the controlling force behind a dangerous heretical conspiracy - and these were the other conspirators, or some of them. Like him they were condemned by Act of Attainder, and Barnes at least proclaimed his innocence in his last speech to the crowd. He had never preached sedition or disobedience, and had used his learning against the Anabaptists. He did not know why he was condemned to die, but the true answer lay not in his own doings or beliefs, but in his association with Thomas Cromwell. Henry VIII: Catherine of Aragon or Anne Boleyn? Was Henry VIII's son, Henry FitzRoy, murdered? (2) John Foxe, Book of Martyrs (1563) page 98 of 2014 edition.